Young skin at best is complex. At nearly twenty-two I feel I can definitely describe my skin as young. I have an oily T-zone, my chin is prone to spots, I have blackheads and if I am really lucky I suffer from dry skin on my cheeks. To put it more simpler, I have combination skin. Simple, right? Well if you visit your local Boots or Superdrugs you would think not, you just need to have a look at the spot treatment section at the vast of products all claiming to clear up your spots. We are bombarded with products and normally sucome to purchasing the latest products to add to our skincare routine. And this is were I realized I was going wrong. Product overload. Too many product all trying to sort out different skin problems. So for the past year I have started to use alot less chemicals on my face and also products. I use non-comedogenic soap instead of cleansing lotion/oil. I only use toner for sensitive skin as most are too drying/stripping. I use oil-free moisturizer and have learnt that I don't need to use it daily. I apply spot treatment every night on every single blemish I have. Other than that I use a gentle face exfoliator when my skin is feeling clogged up and that is it. As a result of having a simple skincare routine I am very ingredient conscious, I avoid harsh chemicals or exfoliators and have grown to love Organic companies such as Yes to Carrots, Burt's Bees and Melvita. Not only are they Eco friendly but most of the time contain effective ingredients that actually smell nice! So I thought I would show you a new range that has not me interested, especially the product above - Sebum Balancing Fluid which contains Birch,Willow and Yoghurt. I don't think I have seem many products that work on balancing out oil production. 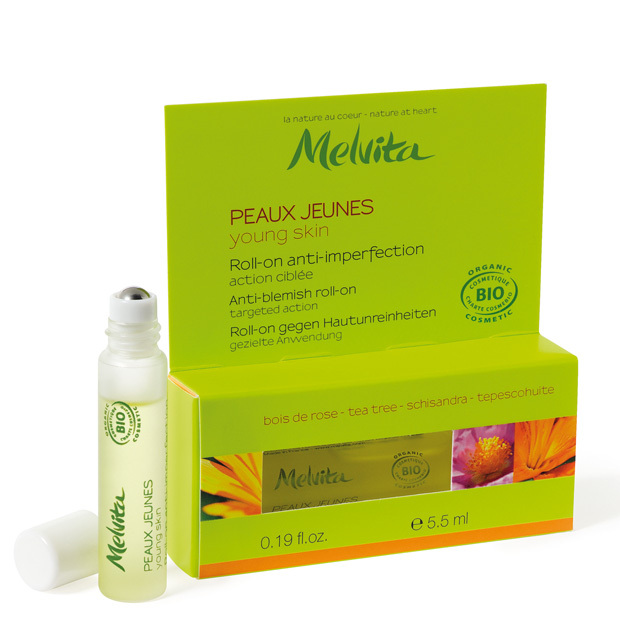 Another product that also looks pretty interesting is the Anti-Blemish roll on which contains alot of natural ingredients including Tea Tree, Cistus, Lavander, Lime and Rosewood. I love the idea of the metal roller ball as this would be perfect in the fridge, ready to take the redness out of any spots. There is also a purifying Clay Mask and a cleansing Facial Scrub that also look worth a try and afew other products. There is a total of seven products which I actually like. There is no confusion, its just simple and to the point. Unfortunately large high-street retailers still don't seem to be stocking Organic skincare lines that have very specific products. 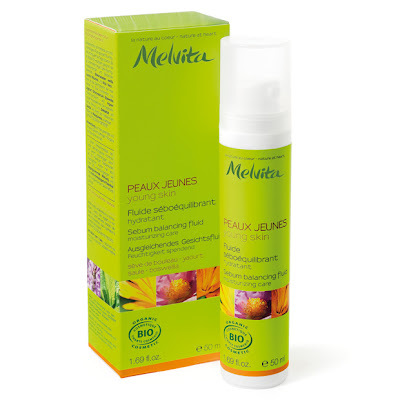 I know I would of loved to have used something like Melvita when I was in my teens. However the products are available on the Melvita website and are cheaper than there normal line as prices start at £10. If you have combination/oily skin do you try to use less products or treat your skin as sensitive? So glad the Neutrogena spot treatment worked for you Ola, there is no need to thank me! I totally agree! You're a wise girl! 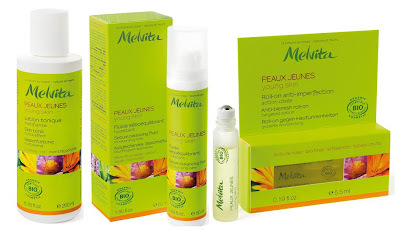 oil free moisturizer that balance sebum production for nightime. when I've got some spots I use patches.